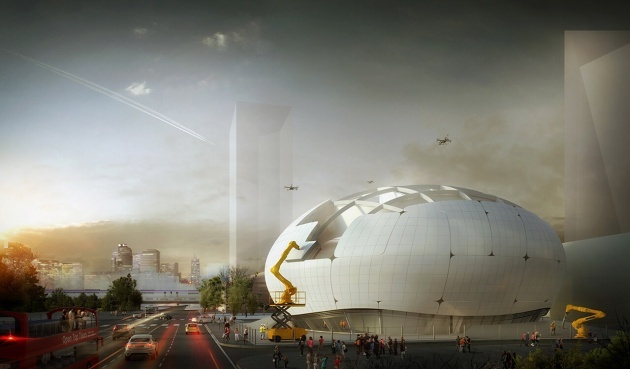 A Turkish architecture firm will use robots to build the Robot Science Museum in Seoul, South Korea. Two teams of robots will start work on the 2,500-square-meter building in 2020, according to the architecture firm, Melike Altınışık Architects (MAA). One team will construct the curved metal facade of the museum. They will complete every step of the process from assembly to welding and polishing. The second team will 3D print cement. Drones will oversee the process.Commissioned by the Seoul Metropolitan Government, the museum will include displays on artificial intelligence, virtual reality, augmented reality and holograms.